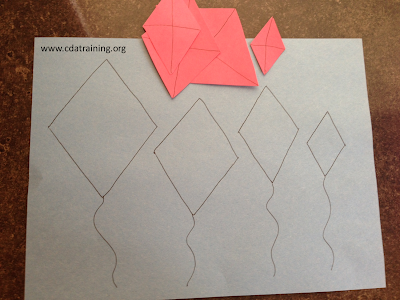 Cut out different sizes of triangles from construction paper. 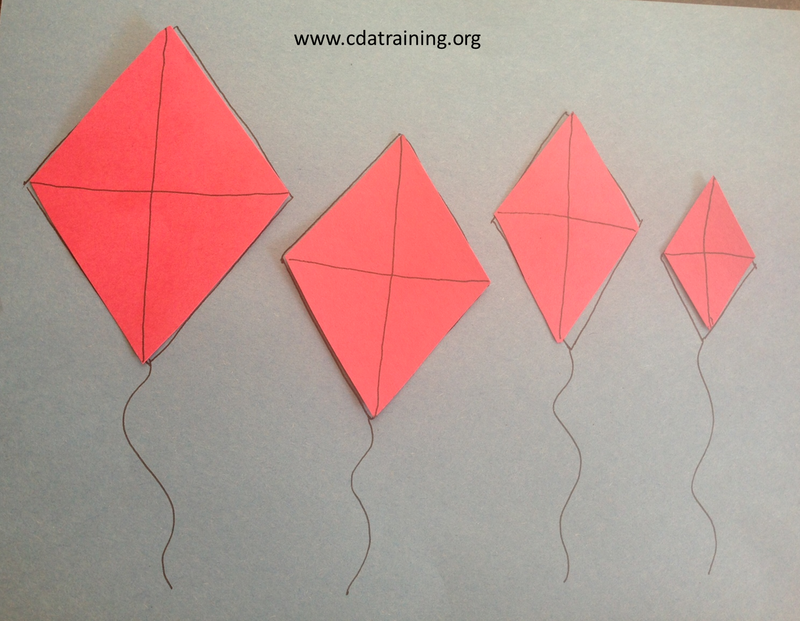 Trace the triangles on a piece of paper and then add a tail to each one to resemble kites. 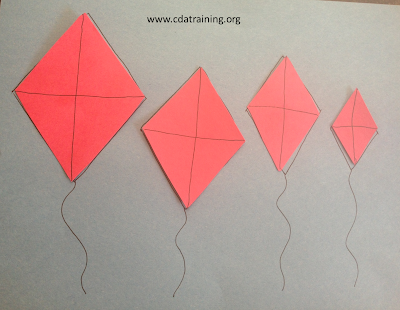 Encourage the children to match the correct triangle to the correct kite.